I’m Now a Sounfreaq and I Love It! I recently switched from a phone that was giving me all kinds of issues to an iPhone. How happy am I? Ecstatic. It’s been the kind of phone I had hoped for and Siri and I are tight y’all. But what I love about my phone is, it’s not just a phone. It also holds my love of music. I listen to music when I run, in the car and when I clean. There was only one problem about listening to music on my iPhone while I clean. I didn’t have a speaker to plug it into. But I found a solution to that problem. I put my phone in a bowl! Yes, I said a bowl. I read somewhere (probably Pinterest) that putting your iPod or iPhone in a bowl would amplify the sound. Did it work? Yes, yes it did. Was it as great as a speaker? No, no it wasn’t. But it worked for the time being. Until my kids and friends started making fun of my for my little set up. So, I went on the hunt for a speaker. My 9 year old loves shopping for technology items, so we spent some time in Target seeing what my options were. There were quite a few and I ended up leaving left empty handed. Then came this little email asking if I would like an opportunity to test out the Soundfreaq Sound Platform 2 speaker. Hello perfect timing! I also just so happened to be moving into a new house at the time the speaker arrived, so I had the perfect spot chosen for my new friend. The bar area that separates our kitchen and living room. Doesn’t it look great?! It’s the perfect spot because you can hear it all throughout the downstairs. I’m considering purchasing another one for the master bedroom. I love it and use it all the time. Universal Bluetooth Wireless – meaning I can play my music from my phone wirelessly. It’s also been used a ton by my three kids who all have iPods. It features dual USB charging ports to charge 2 smart- phones or tablets at the same time. I am able to charge my phone while listening to music. Or just use it as a charging station, which I’ve been doing quite frequently. 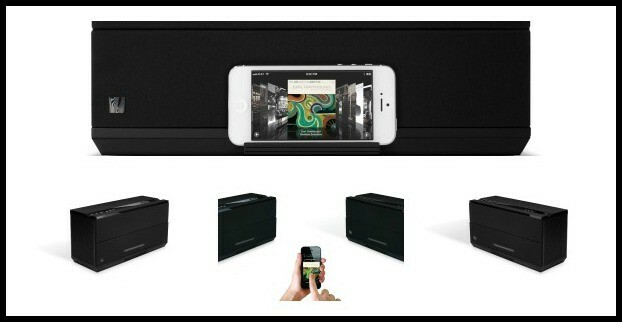 Not only does Sound Platform 2 bring music to life, it plays any audio from your smart phone, tablet or PC. It has exceptional sound performance. Sound Platform 2 is acoustically balanced to compliment every genre, at any volume. 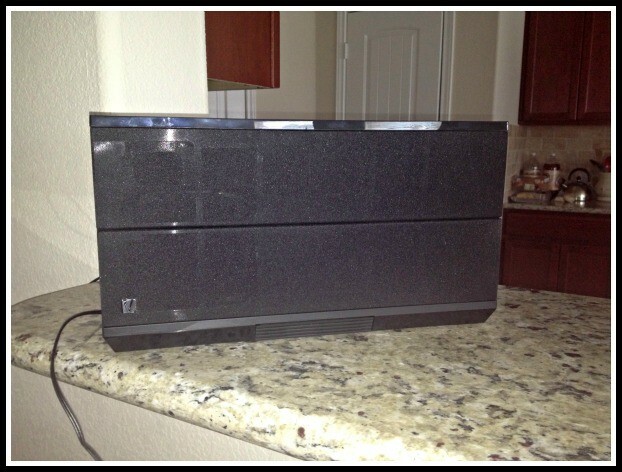 From the sleek looking design, sound quality, features such as charging abilities and the fact I can play my music wirelessly – this makes the Soundfreaq Sound Platform 2 the perfect speaker choice for my home. 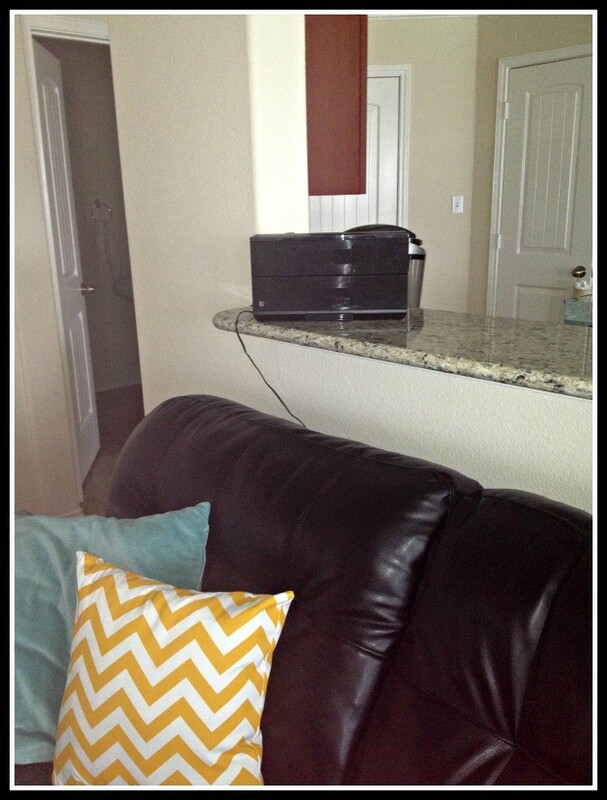 Do you have a speaker you use with your phone or music device? Tell me about yours and how/where you use it!